Like Lonely Planet says, Pacific Heights is a wander and look operation. 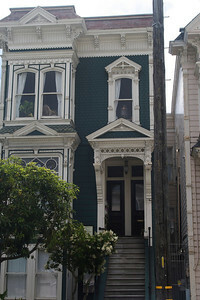 Most notable sights in this neighborhood are old Victorian style homes. Some gorgeous, most in 1-3 million dollar range. 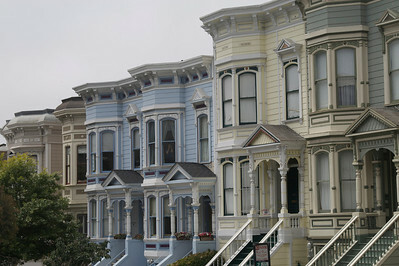 There are parks tucked away for you to catch a snooze or get beautiful shots of the painted ladies. From top of the hills, the bay beckons with its little sailboats. You can spot landmarks such as the Palace of Fine Arts and Golden Gate bridge. If you go with the city guides, you will get a very detailed understanding of the architecture and evolution of these Victorian homes. The guides will also tell you exciting tales, for instance being mooned by Danielle Steel’s children. Wandering and look operations are hard to describe, who knows where you will choose to wander. I am going to provide a sample of what we found on our wanderings. A link to more photos and map is provided at the bottom of the post. 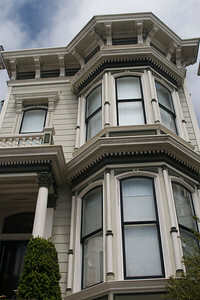 A classic Italianate Slanted Bay Architecture with five sided windows (three glass panes, colonettes between the panes), false front, bracketed cornice, portico balustrade (little false balcony), dentils (decoration that look liked gapped teeth). 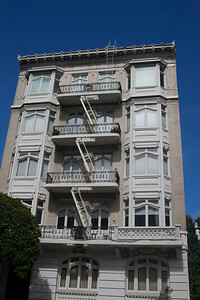 This is an example of San Francisco Stick marked by flat bay windows. Otherwise similar to Italinate Slanted Bay. An example of Hollywood Art Deco architecture. The blue building in this picture is an Italianate Slanted Bay - originally a single home, now converted to two flats. The internal layout of these flats is often like a railway coach, called railroad car plan, with rooms on one side connecting to a single corridor. 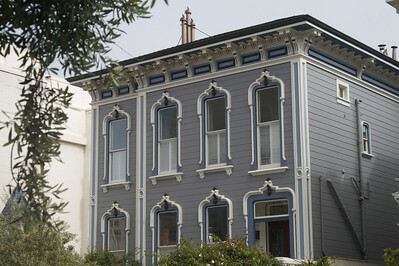 An example of a modified Italianate flat front - missing the false front. 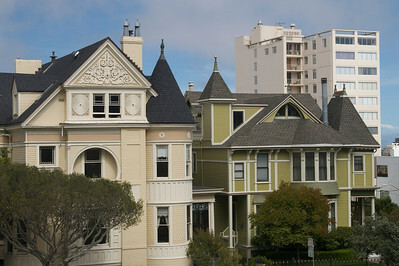 The house on the left is a Queen Anne Tower house with its witch's cap, tower, and decorative shingles. I have never noticed it but slanted rays of sun can cast beautiful shadows off the shingles. 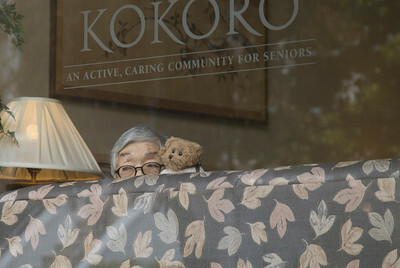 To see more photos from the tour, click here. To read more about the architecture, click here. View Pacific Heights, San Francisco in a larger map.